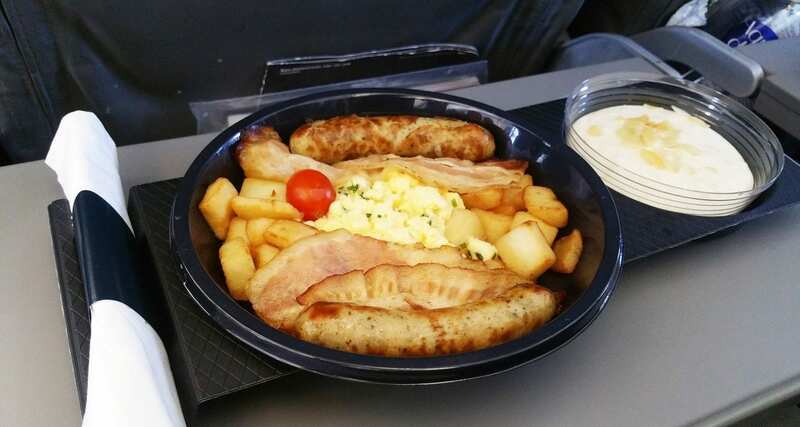 Recently German-based airline Condor (Part of the Thomas Cook Group) launched a new concept for economy class pre-order meals on their European flights. 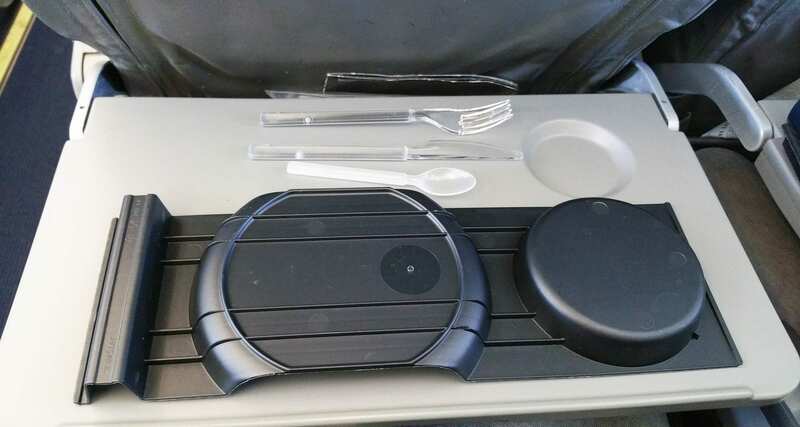 The idea sees the removal of traditional meal trays instead of a more sleek and modern dining concept. Iceland, Canary Islands, Cape Verde & Madeira, Cyprus, Malta, Greece & Turkey, Egypt, Morocco, Tunisia, Gambia & United Arab Emirates. I was travelling with someone, so naturally, I ordered them a meal too, to get a glimpse at another offering. Condor has created a new range of meals that take inspiration from countries around the world. Think Italy, Sweden, Thailand, France and many more. It’s quite a nice concept, and you can find more info on the meals right here. Right after take off the cabin crew delivered our meals rather promptly. 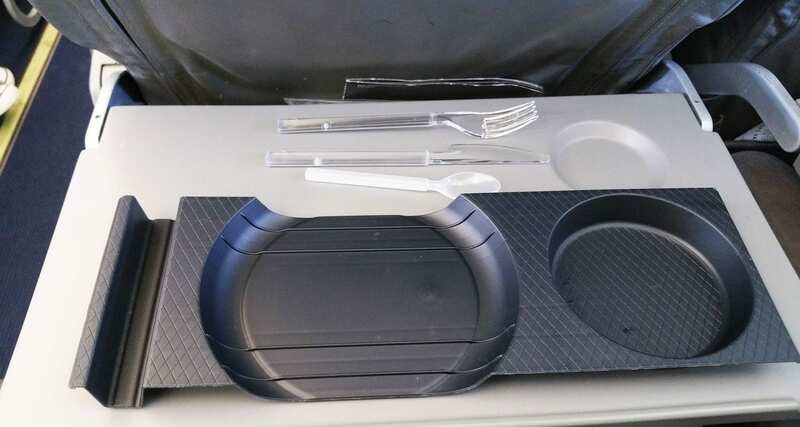 As you can see this is no traditional meal tray, it’s a concept called Absolute One created by airline caterer Gate Gourmet. A similar concept is flying on Latam in South America, but it’s a slightly different design. Included for all pre-order meals on Condor are a bottle of water (still or sparkling!) plus a hot drink. The meals that I pre-ordered included the Austrian option (Schnitzel with potatoes) and the UK option (English Breakfast) both came with a side of dessert, an almond mousse with berries. Feedback on the meals? They were great, I opted for the schnitzel option, and it was quite tasty, and zesty thanks to the slice of lemon. My travelling partner loved his breakfast offering, there was quite a bit to eat, and the quality was up there. Most importantly both meals were served piping hot. 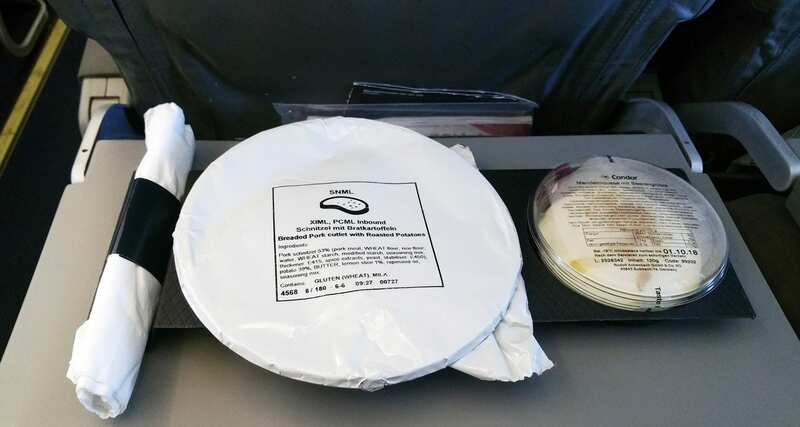 We both commented on how sturdy and thick the cutlery was, I know this sounds rather silly, but inflight cutlery on some airlines can be quite flimsy. Cost of the meals? 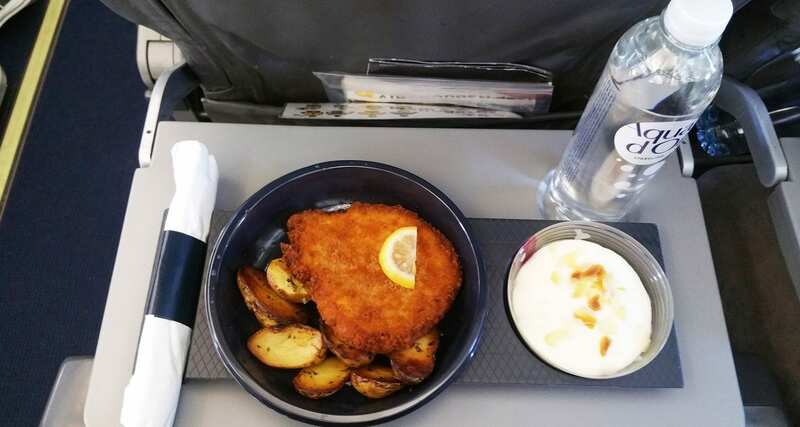 The breakfast cost €9.99, and the schnitzel was €11.99, considering it includes water and a hot drink from the onboard menu, it offers excellent value. Overall a nice meal and a neat little concept. Well done Condor. For those interested in looking at the concept more closely see the photos below.